Learn about the fourth survey (2016, 2014, 2012, 2010) in which many “core” questions have been used for tracking purposes. 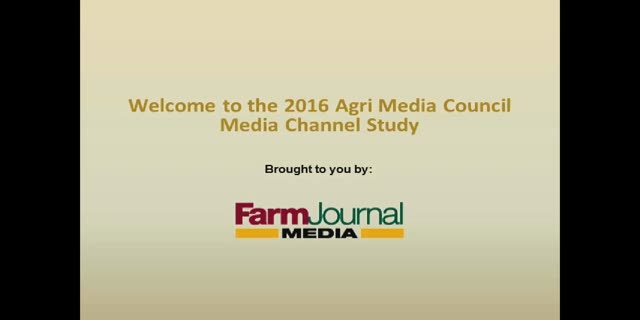 Agri Media is observing changes in usage patterns for both traditional and digital channels that are reflections of an evolving market. Every pound counts. So does every dollar. Are you clearing all of the bases with your calf program? Click "ATTEND" below to register for the webinar. Click 'ATTEND' below to register!